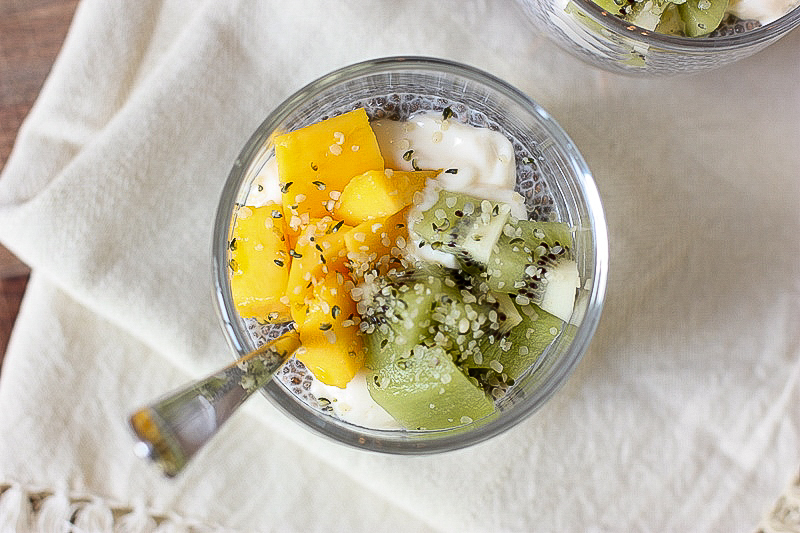 This Mango Kiwi Chia Seed Pudding is the perfect breakfast or afternoon snack! 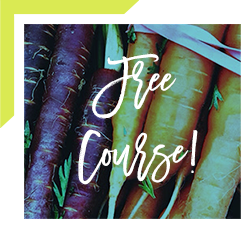 High in fiber and healthy fats, it will make you smile and full. When I was in high school my mom used to make wonderful fruit salads for breakfast on the weekends. Of course I didn’t appreciate them back then, I used to beg her not to add papaya and mango. Seriously, what was I thinking? Today I can’t eat enough mango, and I sure do love papaya. Thankfully, our palate grows up as we do! I recently picked up a six-pack of champagne mangoes from Costco. 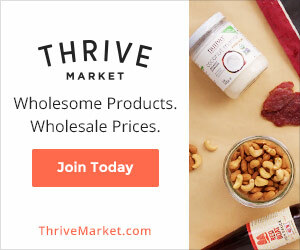 I’ve been eating one a day ever since and was excited to create a no-bake energy ball with them. Sadly, this resulted in a very disappointing kitchen fail. To make matters worse, I tried to bake up the mess, hoping a little heat would turn my wet slop into a delicious energy bar. Yeah, that did not happen. I had such great success in the past with my raw Wild Blueberry energy balls, I was overly confident I could pull it off. Ugh…I hate wasting ingredients! After my fail, I was left wondering what else I could do with my fresh mango? I decided to go with my second favorite snack, chia seed pudding. 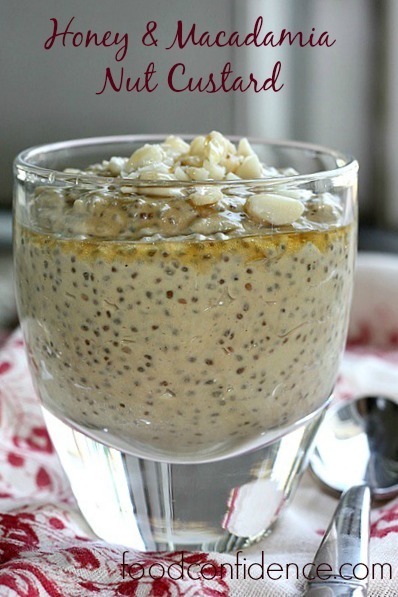 If you haven’t tried chia seed pudding yet, you really should. It’s such a great snack! For one, it’s high in fiber and healthy fats, which means it’s super satisfying. 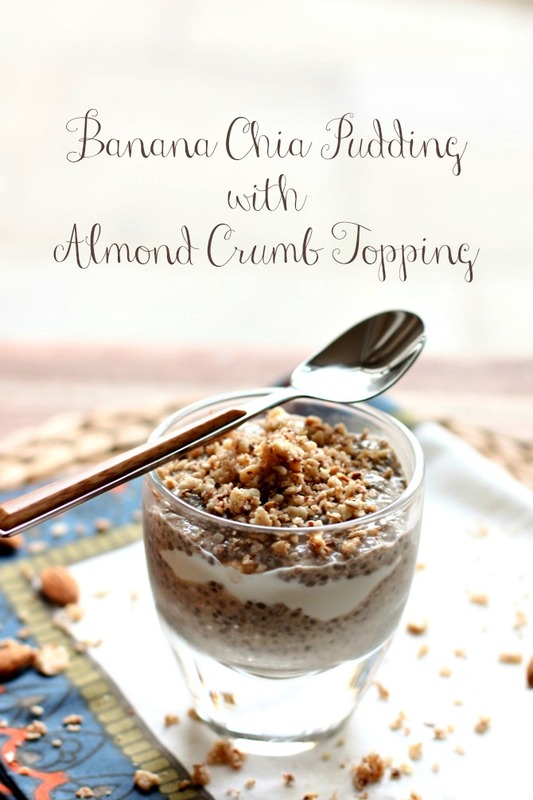 And for two, it’s a sweet and creamy snack that feels like dessert. What more can you ask for? 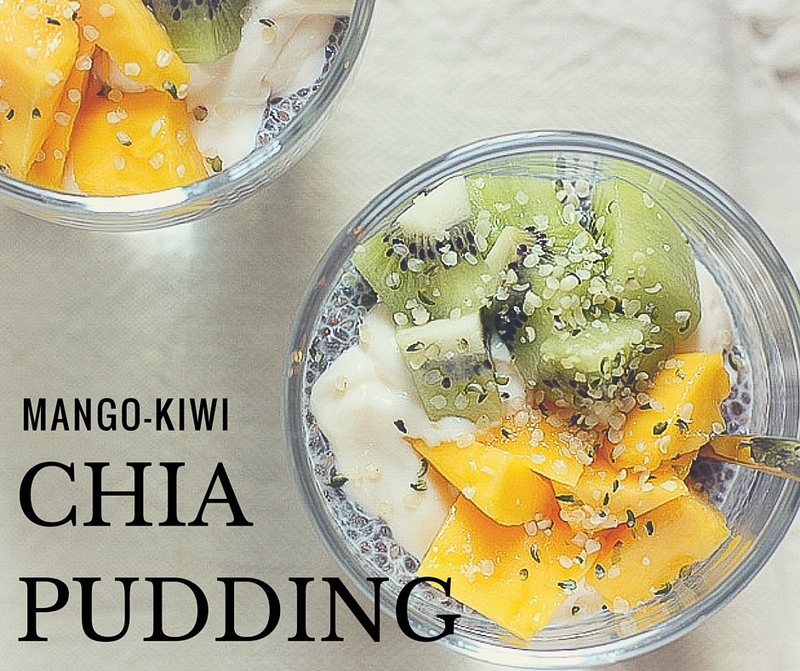 The base for this mango kiwi chia seed pudding is 1 cup of milk (any nut milk or even cow’s milk will do) with 1/4 cup chia seeds. Once you have this base, you can pretty much do anything you want. 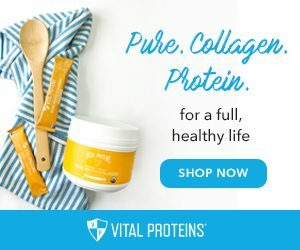 I typically add a few drops of liquid Stevia and some vanilla and go from there. You can use any type of sweetener you want, maple syrup or honey are great, too. I love to mix my pudding with yogurt. The creaminess of the yogurt just takes it to a whole new level. And then of course you need some fruit for texture, and I like to sprinkle on some kind of nut topping. 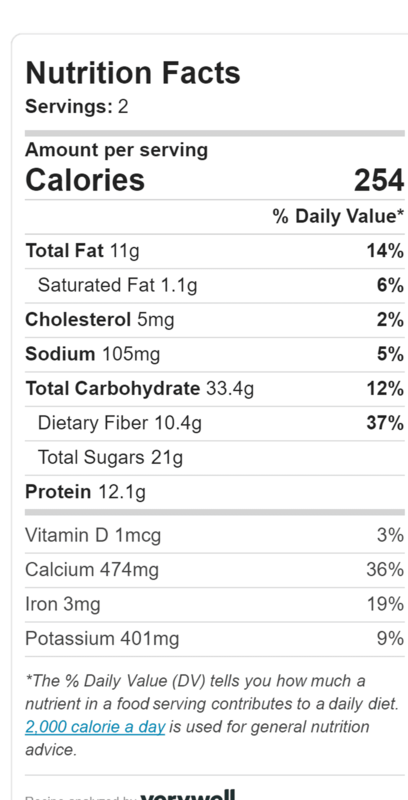 Today I used hemp seeds, but sliced almonds would be good or even some chopped macadamia nuts. 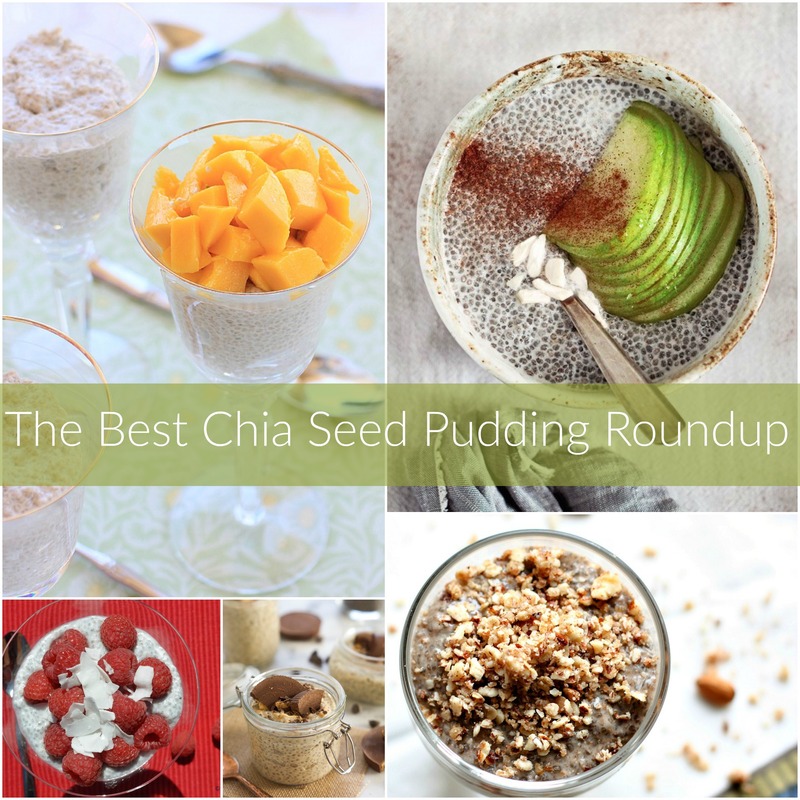 What’s so great about chia seed? 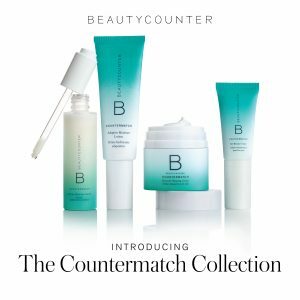 I’ve written about this before, just read HERE to learn more. 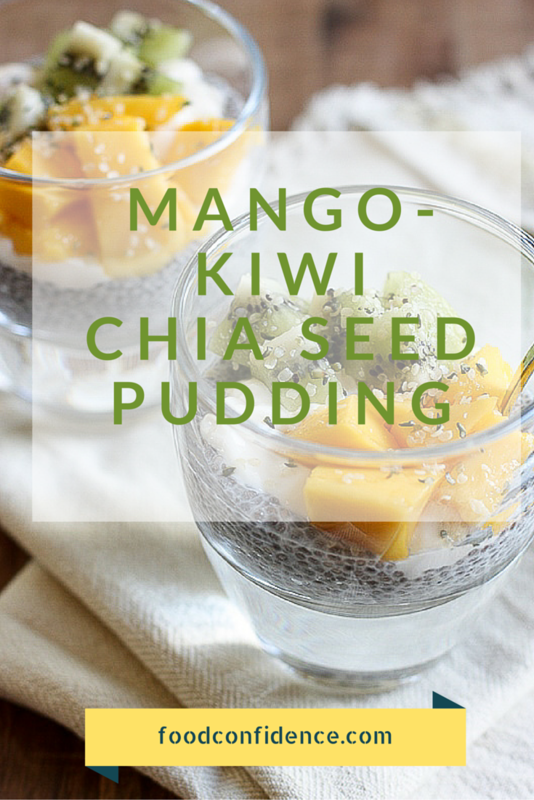 I think you’ll really enjoy this mango kiwi chia seed recipe, it’s the perfect breakfast or afternoon pick me up and is super simple to make! Combine chia seeds, sweetener, and nut milk in a bowl and whisk until well combined. Refrigerate for about an hour, overnight or just until thickens. Peel and chop mango. Peel and slice kiwi. 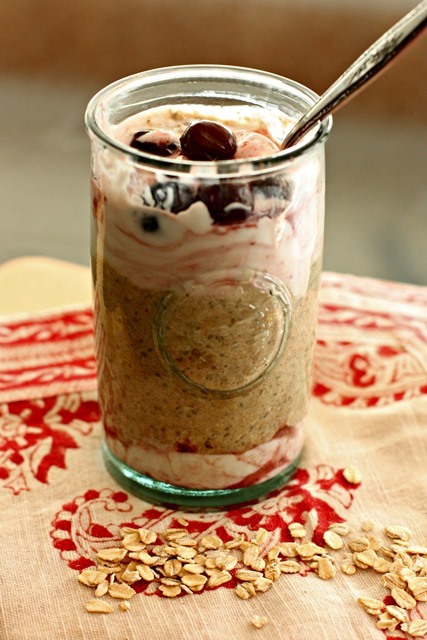 Add chia to serving glass, layer with yogurt and top with fruit. Sprinkle with hemp seeds or nuts. Enjoy! 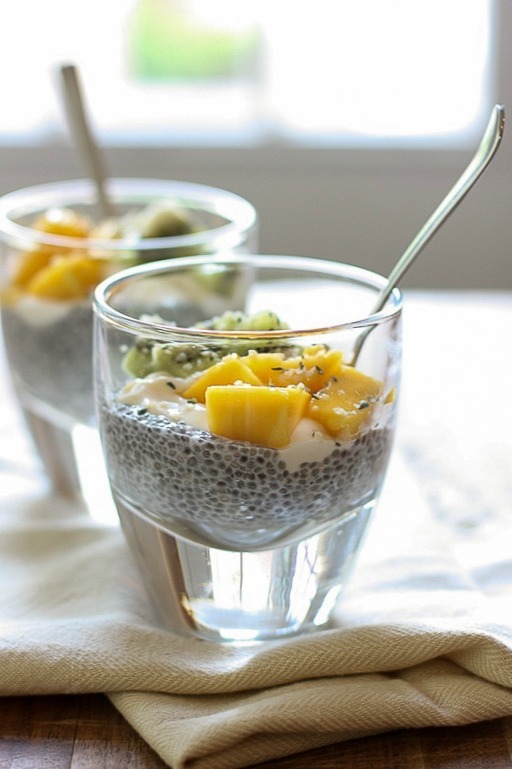 This mango-kiwi chia seed pudding is a sweet and creamy snack that feels like dessert. Yum! This will be my breakfast tomorrow 🙂 thanks for the idea! Mango and kiwi sound like a great combo! yum! Yummy! 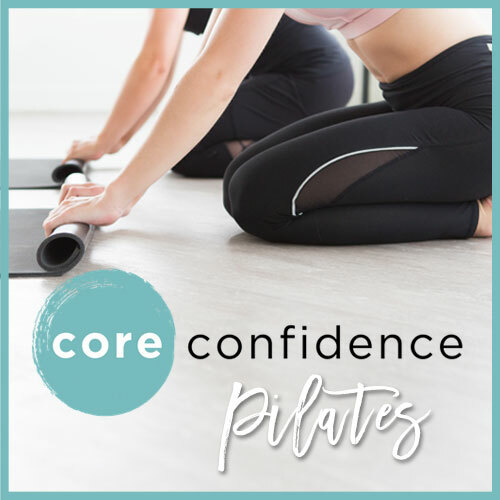 This looks great Danielle- perfect for summer!